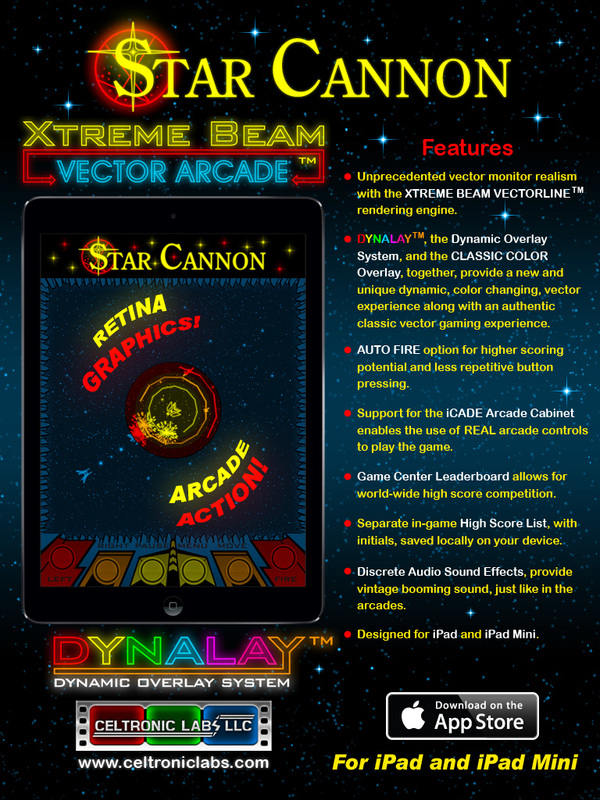 XTREME BEAM VECTOR ARCADE, featuring STAR CANNON, is now available for FREE download on the App Store for iPad and iPad Mini. This is the vector game app I have been working on, which I mentioned here on the forum, a few times in the past. This is really just the beginning of the app, as the concept is for it to eventually contain multiple vector games. 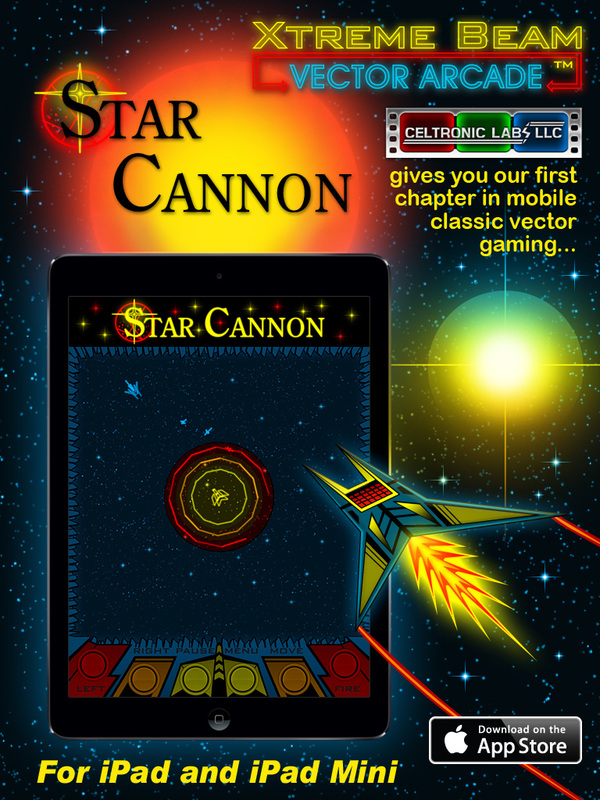 Star Cannon, is of course, the first game to appear in the app. I am sure everyone here on this forum will recognize what classic vector game inspired Star Cannon.. You could say that Star Castle has been my muse for a long time.. It was enough work to create the underlying graphic engine to draw and manipulate the “vector lines” you see on the screen, let alone come up with an entirely new and original game concept for the initial release of the app. Some of the future games, that I come up with, should have more originality to them. Star Cannon is a showcase of what the app can do, and a game that I know a fair amount of people should actually enjoy playing. This game starts out slow, but as you progress, it gets very fast and intense! VectorX, in another thread, I saw that you said you were looking for a game to download on your mom’s iPad. You might want to give this one a try.. It is about as vector-like as your going to currently find on the App Store. Any chance of the app getting ported to Android? Thanks for posting this important update; very cool! TrekMD, Unfortunately there will not be any port to Android in the near future. Realistically, the app would have to become a big success to merit any attempt of porting it to Android. On the other hand, an iPhone version may surface in the future, especially for single player games like Star Cannon. VectorX, maybe when you get a chance to try it out, you can post a written review for it on the App Store.. It got its first written review on Monday, in the Italian App Store. The guy gave it 5 stars, so at least I know one person out there likes it so far. Vettore Gioco, is Vector Game in Italian. In Italian, he basically said I did a good job at recreating the coin-op vector experience of the late 70s and early 80s. OK, thanks. Best of luck! I played it last night...or tried to anyway. I didn't manage to play for long. It looks great and seems to play well, but I just can't control it on an iPad. However that is not as much a comment on the game as it is on my lack of ability to control something that takes quick reactions on a touchscreen. 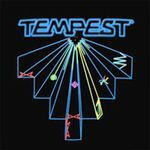 Website: Tardis remakes / Mostly remakes of Arcade and ZX Spectrum games. VectorX, maybe when you get a chance to try it out, you can post a written review for it on the App Store. I've been trying to stay away from creating an account at the App Store, but I'd definitely do one if and when I get an account Glad someone else did one already and it got a top score though. sokurah, interesting that you didn't last very long when you gave it a try.. I remember the first time I played your Star Castle game. I didn't last very long either.. There are some differences in how our games play though, especially how the homing mines function. I made mine function more closely to how they do in the arcade game. Based upon game scores on the Star Cannon leaderboard, I misjudged the difficulty of the first couple waves of the game. I was concerned that maybe I had made it too easy at the beginning. The score results, so far, show that over 90% of the players have been unable to hit the Cannon, even once! In contrast, my personal best, when play testing the app before launch, was to hit it 18 times getting to wave 19. Whether that indicates the game is too hard for most people, or most people have problems with the controls, I don't yet know.. Have not had enough feedback to make a determination. You find that big of a difference, control wise, between 4 keys on a keyboard versus 4 touchscreen buttons? My preferred way to play the game is using my iPhone as an external controller with the the Joypad app. On the Joypad / iPhone combo, I operate the left and right buttons with my left thumb, and the move and fire buttons with my right thumb. But I can play it with the onscreen buttons as well (I use 4 fingers on those, like I would do on the arcade). You cannot really hold the iPad in your hands while trying to operate the buttons (the iPad Mini may be an exception in that regard, as I've yet to play it on a Mini). I prop the iPad up on a book stand when I play the game. Granted, touchscreen controls are a bit of a challenge to implement for games that traditionally used buttons and especially joysticks for control. VectorX, I find it a kind of strange that you don't want to create an App Store account.. I believe, without an account, you cannot download anything at all, not even free download apps. Why have an iPad if you can't download any apps onto it? Regardless of whether you wanted to download my app or not, I am curious as to why someone would get an iPad if they were not going to download any apps onto it (unless maybe because your iPad is Jailbroken and your not downloading from the App Store, but from elsewhere.) Don't you have Angry Birds on it? I thought you mentioned playing Angry Birds on it in another thread. Anyway, just thought it kind of odd. You cannot really hold the iPad in your hands while trying to operate the buttons (the iPad Mini may be an exception in that regard, as I've yet to play it on a Mini). You can play it on your lap. I have to shift my legs/the iPad around though a bit while playing though. VectorX, I find it a kind of strange that you don't want to create an App Store account.. I believe, without an account, you cannot download anything at all, not even free download apps. Why have an iPad if you can't download any apps onto it? I don't have an iPad myself, my mom does. I would say we would have to log in and out with our accounts with the App store, which would be annoying, but then I realized we have iTunes on here, so I can at least create an account on the computer (since mom almost never uses it any more), so that'll save a bit of a hassle there. Don't you have Angry Birds on it? I thought you mentioned playing Angry Birds on it in another thread. Yeah, there's several apps on it, including two of those. I might see about creating an account on here this weekend, I'm just doing other things right now. VectorX, I see your situation now with the iPad. I didn't know the deal with it. Yeah, you can play games with the iPad on your lap too, that is another option. I'm still going to see about promoting the package of yours to other retro forums though, at least So I'll have that going even if I'm not going to immediately dive into the game; hopefully it can get passed around to another person or two (or more!) that way. Perhaps I should give it another try. One possible mistake I made was trying to sit with the iPad in my lap while playing it, but perhaps I'll fare better with the iPad laying flat on a table. But, yes, I do think there's a BIG difference between 4 keys on a keyboard versus 4 touchscreen buttons. It's not a critique against your game, but personally I just prefer the tactile feedback I get from physical keys and I usually don't do very well without that in general. The games I do play on my phone/pads are usually more suited to a device with a touchscreen than games that require lightning-quick reflexes. I do think that most people find Star Castle very hard to play - initially anyway. There's absolutely a strategy and once you realize it you can get very far pretty easily. If you can control it of course. As for the differences in gameplay; yeah, they play a little differently, but nothing serious. I doubt that anyone without the intimate knowledge of the game that we have, will ever even think about it. I'm usually a bit obsessed with making my remakes very close to the original games, but as a remakes you don't HAVE to make your own game identical to the original - I feel it's okay to tweak certain aspects of a game design. There's actually a couple of minor differences between the aracade version of Black Widow and my version too, but I doubt that anyone will ever mention to me what they are. And I think that the changes I made to Omega Race 2009 actually made it even better, so a minor change from the original is not necessarily a bad thing. There's actually a couple of minor differences between the aracade version of Black Widow and my version too, but I doubt that anyone will ever mention to me what they are. And I think that the changes I made to Omega Race 2009 actually made it even better, so a minor change from the original is not necessarily a bad thing. Anyway, I put this up on a thread on another forum to hopefully get some attention (and discussion) towards it. What forum did you make a post about the app on? An update to Xtreme Beam is currently waiting for review by Apple. There seems to be a backlog of apps for the reviewers as it is taking longer than normal for app updates to get reviewed.. The update will make the game significantly easier on the first 3 Waves. Leaderboard results, and having some friends and fellow developers play the game, showed that most people found the game too difficult (especially if they had never played Star Castle before). Unfortunately, difficult enough, that they simply stopped playing it after a couple of tries and gave up..
Games that are too easy are boring and games that are too hard can be frustrating to the point of abandonment. Coin-ops were designed to minimize game time per quarter, so by nature, it was rare that they were ever "easy". I had coded this game from the perspective of a Star Castle veteran player. By using the screen wrap combined with the "fly by and shoot" techniques, one can get long duration play and scores into the 30,000+ point range in Star Cannon. The first 5 to 10 waves are meant to be the warm-up/beginner waves. It is after wave 8 to 10 that you really start getting into the groove. Those that found the initial release too difficult, may want to give it another shot, once the update goes live. There's another, bigger/gaming forum I can put it up on. That one got a few posts out of it but it doesn't sound like anyone has an iPad to play it on. At least it got some talk about it going though.